What inspired you to create Silken Veils? A black and white photo I saw at friend’s house. It was of the Iranian Revolution and featured a sea of men protesting. In the center was one lone woman. She had her arms around a man with his fist raised, her cheek pressed against his back. It made me wonder; what is it like to try and hold onto love during a revolution? At the Eugene O’Neill Theater Conference I took a class with Ron Binion where I discovered puppets are uniquely situated to break down cultural barriers and prejudice. When a puppet comes on stage the audience doesn’t make any assumptions about what the puppet thinks, says, does, or how it views the world. However, when a human actor enters the stage the audience’s preconceived notions based upon a performer’s look snap into place. Silken Veils is born from this space of non-judgment that puppets create. What’s great about remounting a show? Making new discoveries! No matter how many times I’ve done a show there’s always something new to learn, something to improve, and something to marvel at anew. What is difficult about remounting a show? The fine tuning and fixing of all the elements of the show so that everything flows as well as you want it to. Time grinds on materials and upkeep can be expensive. It is also more difficult to duplicate an object than to make an original from scratch, because you know EXACTLY what you want it to look like and thus are more critical. How do you prepare for multiple performances? Physical training is key. It’s hard work on the body to perform for 60 minutes without stopping. My physical endurance is key; once Silken Veils begins I never leave the stage. I also have to drill my vocal and puppet performance techniques so the entire instrument that is myself is prepared and able to go for long runs. What made you want to work with Indy Convergence? Indy Convergence is a unique institution dedicated to building bridges across communities, organizations, art forms, philosophies, and styles. Silken Veils is a show that combines politics with heart, puppets with animation, original text with Rumi Poetry, and past with present all to build a bridge between what is the soul of the Middle East and what the media has told us is the Middle East. Both Indy Convergence and Silken Veils create pathways between artists and the community by using dialogue as stepping-stones. As such, the two seemed like a natural fit! Check out more of Leila’s work at Pantea Productions. 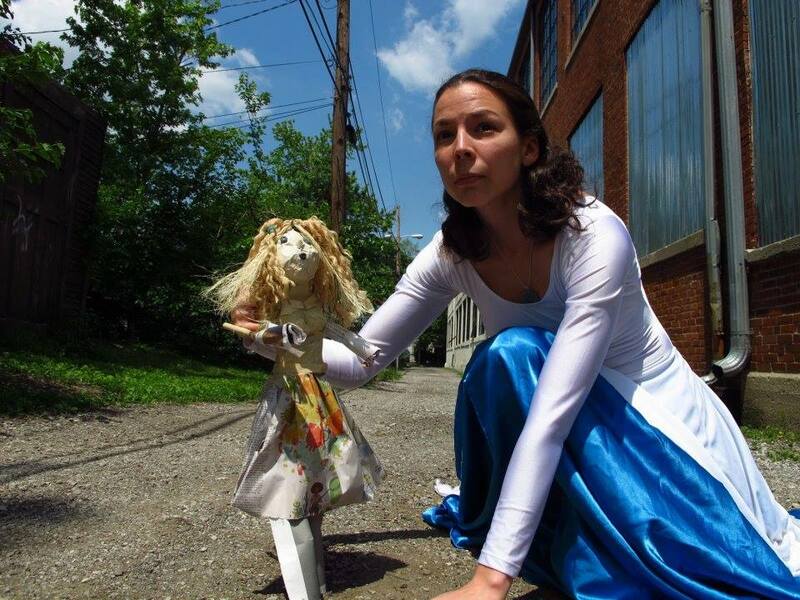 To buy tickets for Silken Veils at Indy Fringe Festival, click here.